Just before Rosanne Barr got her TV show, she was the hottest comedienne on the planet and everybody was trying to figure out how to best exploit her. 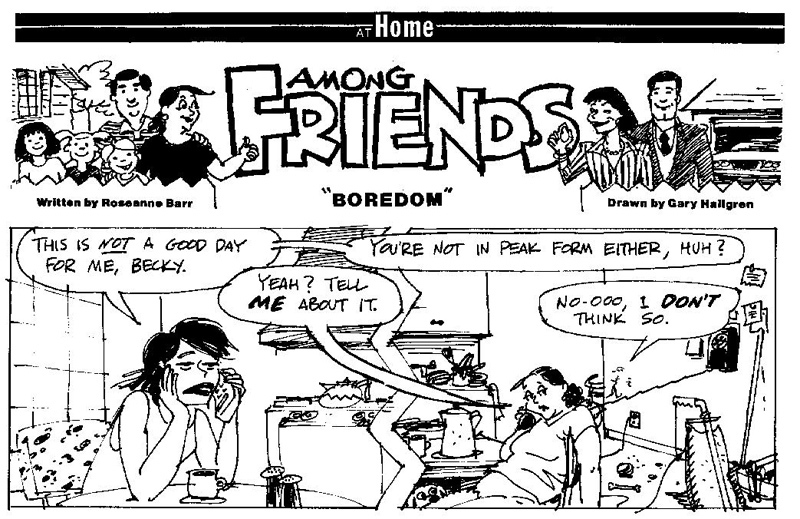 People magazine had the late Jay Kennedy as a cartoons consultant and somebody thought maybe Barr could write a funny comic. Jay called me, Roseanne sent some liffy scripts, I did some comps, and thankfully, the whole thing was dropped. There are half-a-dozen full page sketches...contact me. Your choice, each $100 or take them all for 350.